I never cease to be amazed whenever I pick up a book and start to read, for no matter which room I am in, the magic of those printed words acts like some magic carpet and I’m transported to some place in my imagination where I meet characters that can become friends, or enemies, depending on the parts they play as the pages unfold. The same with the authors; once hooked, they remain must reads forever. I’ve been reading three similar books about a wartime Britain which I remember as a child growing up in a Welsh valley miles away from bombs, but where the reality of rationing and the tragedy of fathers and sons being killed, shot down, missing or feared lost, was on the doorstep. But nothing happened in a vacuum because everyone in such small communities was involved. That could sometimes work in your favour or against it since everyone knew everyone else. As a child I learned nothing was hidden from the all-seeing eyes of nosey neighbours, but those same neighbours would always be there to help in a crisis. Much the same thing happens with music. I listened spellbound to Bach’s B Minor Mass last night, broadcast live from the Royal Albert Hall in London. 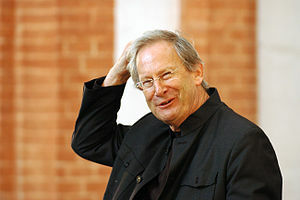 It was sung by the Monteverdi Choir and the English Baroque Soloists conducted by Sir John Eliot Gardiner. As it started I sent a quick text to my son and learned that although hundreds of miles away, he too was listening. In an instant, the distance between us disappeared; the power of the radio brought him home, and we could enjoy the music together. ‘The magic carpet of the mind’ is a fantastic description and very true. Thanks for dropping by, and commenting. Much appreciated. you are a blessed soul! I count my blessings every day, and being in touch with people like you, in different parts of the world, is just one of those. Thank you for dropping by my pages. there are some books i just keep reading again and again. I never tire of Pride and Prejudice. I have just read it again. Everything about this book is perfection in writing – Jane Austen is at number one for me. Yes indeed, books, texts, internet, book groups, replies, comments, we can be everywhere in mind. Sometimes it is hard not to miss body and hugs though, but we now have wonderful ways of learning about all the differences everywhere. 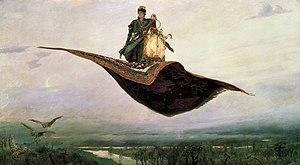 Magic carpet is a great phrase. Thanks for passing by and reading my blog. You’re right about the hugs and missing the warmth they can bring, but books and music have the power to transport anywhere in a moment, especially to those places we might have shared with a loved one at sometime. I love your expression, ‘the magic carpet of the mind’. I’ve been an avid reader for as long as I can remember and being carried away on that magic carpet is still a wondrous thing! Thank you too for passing by mine, and taking the time to comment. I always found a moment to escape into the pages of a book, often incurring some sharp words because I’d failed to do that which I should have done – according to my mother. Wonderful — I so relate. And the joy of knowing a loved one is sharing your love of something is beyond words. Music in particular has that effect, but some books, plays, films, or photographs can bring back wonderful memories, and they are the golden threads that weave the fabric of a lifetime. I like your reminder that we can connect with loved ones hundreds of miles away just by listening to the same music or reading the same book. Thanks for stopping by my blog and following. Thank you too for reading my jottings and sharing similar experiences. Last Saturday night my son rang me late, but then he always does. Like his dad, he’s a night owl to my morning lark. On this occasion we were in sync, as we’d both been listening to a superb radio production of Shakespeare’s Richard III, so spent the next half-hour rambling on as if we were in the same room. What a perfect description! As an avid reader myself, I completely relate to your description of ‘transportation’! I remember as a very little girl thinking I must have been transported by the fairies because I was convinced I did not belong where I found myself in a Welsh mining valley. Later I was able to appreciate the many blessings granted me as the only child in a loving home.